Cox Automotive Presents its 14th Barbara Cox Woman of the Year Award - Cox Automotive Inc.
Gail Miller, owner and chairman of Larry H. Miller Group of Companies, recognized for business success and legacy of community service. Northwood University student Katelyn Demarse receives $10,000 scholarship. ATLANTA, Jan. 28, 2019 – Cox Automotive presented its annual Barbara Cox Woman of the Year Award to Gail Miller, owner and chairman of Larry H. Miller Group of Companies. This honor is awarded to women who demonstrate business leadership and community advocacy, as well as a commitment to advancing the automotive industry. The award was presented by Cox Automotive President Sandy Schwartz during the Northwood University Dealer Education Award annual breakfast on January 26 at NADA Show 2019. The award is named after the late Barbara Cox, a Cox Automotive owner and the mother of chairman Jim Kennedy. The Millers created a strong legacy of giving back to the communities in which they do business. Miller presides over the Larry H. Miller Education Foundation and the Larry H. & Gail Miller Family Foundation, which support a wide range of charitable, educational and humanitarian causes. Miller gives freely of her time and is actively involved in many business, civic and educational activities. She serves on the National Advisory Council at the University of Utah and the President’s Leadership Council at Brigham Young University. Miller also serves as the chair of Intermountain Healthcare’s Board of Trustees, on the Shelter the Homeless Board, and the Zions Bank Advisory Board. Miller has been recognized with honors including Doctor of Humane Letters from the University of Utah and Salt Lake Community College, an honorary Doctor of Humanities from Weber State University, and the Salt Lake Chamber’s highest award “A Giant in Our City.” She is also the recipient of the internationally-recognized ATHENA Award. In addition to presenting the award to Miller, Cox Automotive presented a $10,000 Barbara Cox scholarship to Katelyn Demarse, a Northwood University junior studying Automotive Retail Management. 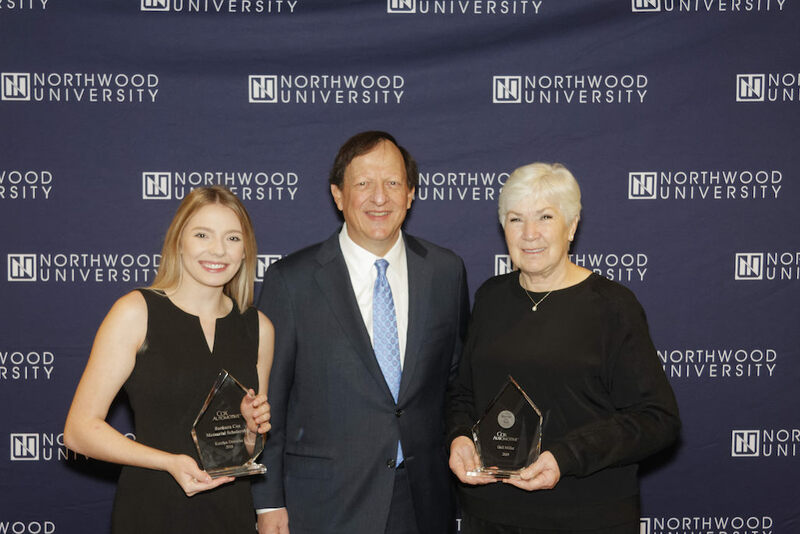 Demarse has participated in Northwood University’s International Auto Show for three consecutive years, serving as both captain and co-captain, her most recent team winning the Best European Display Award. Demarse is a Dean’s List student, a member of the national Honors Society and has been invited to participate in the National Society of Leadership and Success. As the first member of her family to enter the automotive industry, Demarse aspires to become a general manager of a dealership one day and is also exploring opportunities on the corporate side of the industry. For more information on the Barbara Cox Woman of the Year Award, visit https://www.coxautoinc.com/barbara-cox-woman-year-award/.